The Ultra Pure synthetic urine is premixed laboratory urine designed to protect your privacy during a urinary drug test. The Ultra Pure synthetic urine is unisex so a male or female can use it to pass drug tests. To ensure passing a urinalysis, the synthetic urine contains all the ingredients normally found in urine and is balanced for pH, specific gravity, creatinine, and several other urine characteristics. The bottle comes with an attached temperature strip and heating pad to ensure the sample is at body temperature. The product contains two ounces of synthetic urine as required by the DOT guidelines. If a lab demands more than two ounces, that demand is operating outside of the DOT guidelines. Request the lab record the volume of the sample before disposal and be sure to document the error. 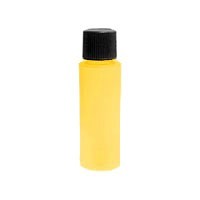 Heat Ultra Klean Ultra Pure synthetic urine in advance and simply pour contents into sample cup.The synthetic urine temperature must be 94°-100°F. The container can be microwaved up to 10 seconds for initial heat. If the temperature remains out of range after first heating, repeat procedure (read the blue dot on temperature strip). If the bottle is out of temperature range after two heatings, cool down (over heated) and retry. Using the enclosed heater pad alone will require approximately an hour to heat to 90°-100°F (see enclosed heater pad for heating instructions). Attach heater pad with tape or rubber band to the bottle, opposite the temperature strip. The heater pad will last up to six hours. Coloration may vary from batch to batch. Shake bottle before and after heating. If unused, sample can be reheated for random usage. The Ultra Pure Synthetic Urine Kit 4oz Size is premixed laboratory urine designed to protect your privacy during a urinary drug test. 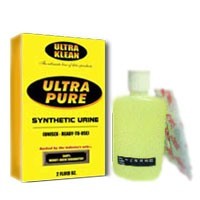 The Ultra Pure Synthetic Urine Kit is unisex so a male or female can use it to pass urine drug tests. To ensure passing a urinalysis, the synthetic urine contains all the ingredients normally found in urine and is balanced for pH, specific gravity, creatinine, and several other urine characteristics. The bottle comes with an attached temperature strip and heating pad to ensure the four ounce sample is roughly at body temperature. This kit is perfect for anyone required to submit multiple urine samples to the lab. This synthetic human urine sample is certified to be 100% toxin-free. This synthetic urine is laboratory grade and is used by many facilities to calibrate testing equipment. It is undetectable and contains the same characteristics of human urine (creatine, specific gravity, pH, etc.). Unlike real human urine, this synthetic urine is not a bio-hazard and you cannot contract any infectious diseases. Contains 2 oz. of urine. 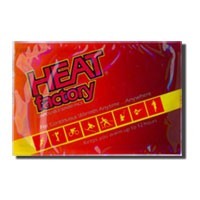 The Heat Factory heating pad will help to maintain the proper temperature (95° - 100°) for submitting to the lab.